The problem is that they often don’t add a lot of color to the wood, especially dense woods such as maple and birch. When you wipe off the excess stain, which is the best practice for getting an even coloring, you might not achieve the intensity of color that you’re after. 1. Sand the wood to a coarser grit: The coarser the grit, the larger the sanding scratches and the more room for pigment to lodge. You just have to sand fine enough so the scratches don’t show. You might be able to get away with 150 grit, or even 120 grit, as long as the sanding scratches are running in the direction of the grain. For example, you could do the initial sanding with a random-orbit sander and finish up by hand-sanding with the grain. • Add more pigment to the stain. It’s best to use oil-based pigment with oil-based stains, but there are pigments available for all types of stains. Keep good records so you can duplicate what you have done if you need to. • Leave the stain on the wood longer before wiping it off. This allows some of the thinner to evaporate and that increases the ratio of pigment to vehicle. (It’s a myth that the stain penetrates deeper.) This trick works best with fast-drying stains such as lacquer stains because you don’t have to wait as long to get a noticeable result. • Apply a second coat of stain after the first has dried fully. This will usually produce a darker coloring, but it adds a step to the process and slows production. • Substitute a glaze or gel stain for the liquid stain. Glazes and gel stains usually contain a higher ratio of pigment. 3. Do a “dirty wipe”: That is, don’t wipe off all the excess stain. Leave a dampness of stain on the wood that dries to a darker coloring. This will take practice to get the coloring even, especially on large and multiple surfaces. 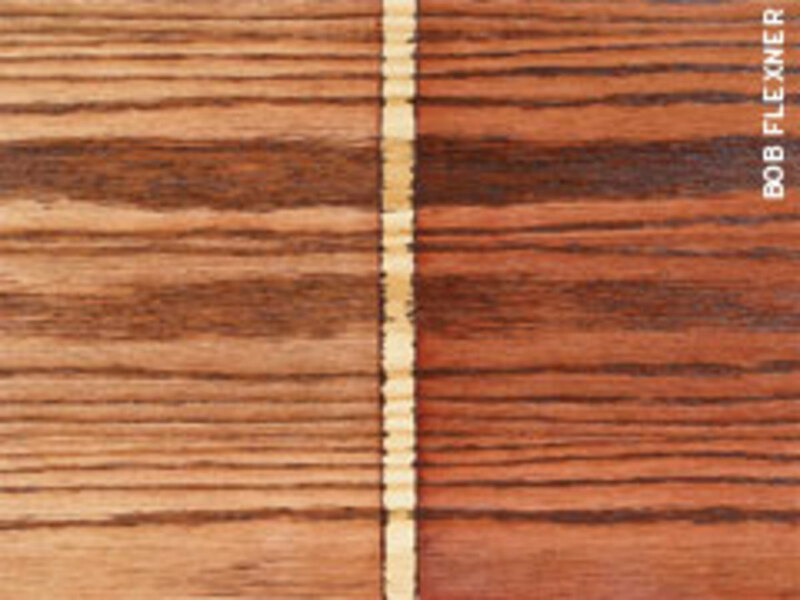 Just as with leaving the stain on longer, this technique is easiest to do with a fast-drying stain such as lacquer stain. There are two downsides to doing a dirty wipe. One is that it will muddy the wood more than if you wipe off all the excess. The other is that it could cause a poor bond to the wood if left too thick. The finish needs to be able to penetrate the stain and establish a bond to the wood. If it can’t do this, the finish could separate at the stain layer if it gets knocked or scratched. Nevertheless, a dirty wipe is such an effective and often-used method that it has its own name. 4. Wet the wood with water before applying the stain to raise the grain and leave a rougher surface for more pigment to lodge. This adds an extra step because you have to let the wood dry for this trick to work. You could shorten the procedure to one step by using a water-based stain. It will raise the grain and the coloring will be darker when you wipe off the excess. Don’t try to sand the stain smooth or you will most likely sand through in places. Instead, “bury” the raised grain with the first coat of finish. Then sand it smooth after this coat has dried. 5. Use dye instead of an oil stain: Dyes are available in liquid form, usually called non-grain-raising and in powders that you dissolve in a liquid. You can get dense woods as dark as you want either by using a higher concentration of dye to liquid or by applying multiple coats. There’s no risk of separation at the stain level because there’s no build. If you spray the dye and leave it without wiping, you won’t get good grain definition. To improve the grain definition, apply an oil stain after the dye has dried — or over the sealer coat — and wipe off the excess. 6. After applying a stain using any of the above methods, spray a toner between coats of finish, usually after the sealer coat. A toner is pigment or dye added to your finish and it is always sprayed on the wood. Pigment will muddy the coloring. Dye will darken the color without muddying. So most toning is done with dye. In addition to darkening the coloring, you can also tweak it if you haven’t gotten it exactly right with the stain. For example, add some red or orange dye to the finish to warm the coloring or “kill” too much red by adding a little green dye. Toning is very useful for matching colors when doing refinishing. Non-grain-raising dyes are the most useful for toning. They can be added to all typically sprayed finishes, so far as I know. 7. 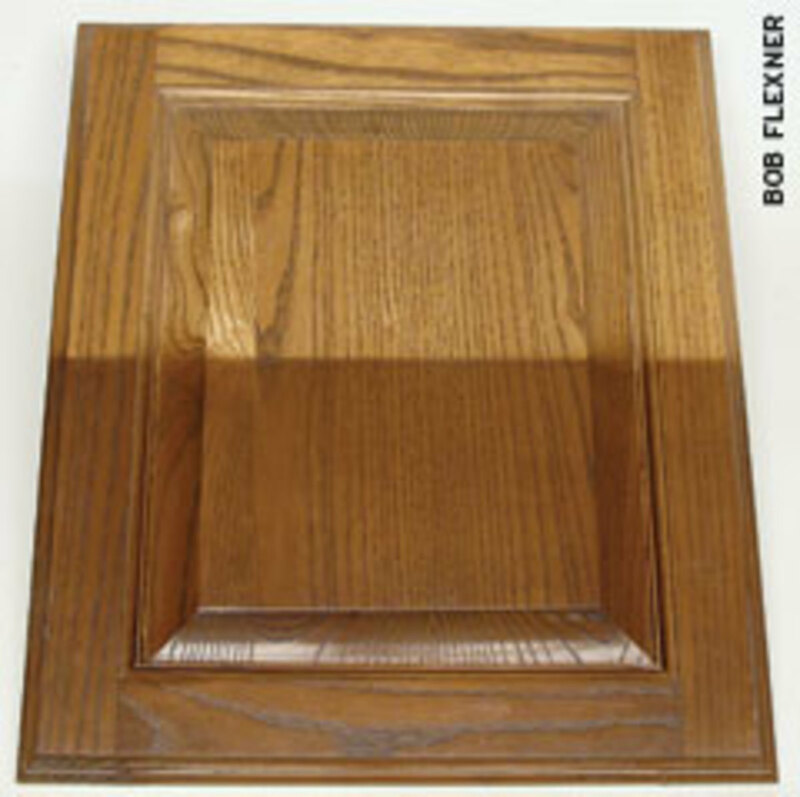 After applying a stain and sealer, apply a glaze: This is a thickened oil- or water-based stain. It’s thickened so it’s easier to control and doesn’t run on vertical surfaces. Leave a little of the glaze on the surface to darken it. The easiest method of applying glaze evenly is to brush or spray it on the wood and thin it out with a brush. It will take practice to do this effectively without leaving noticeable brush marks. Glazes are always pigmented, so they can’t help but muddy the wood a little. Because of the difficulty of getting a glaze brushed out evenly, toning is usually the better method of darkening or tweaking a color. But glazing is useful if you don’t spray. Glazing is more effective for highlighting. For example, leave some of the coloring in recesses to darken them or wipe them off in selected areas to create figure patterns.